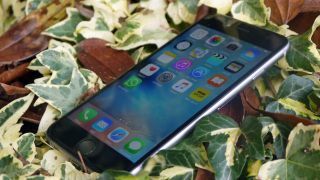 Is this the first video of the iPhone 7 in action? We've seen a lot of iPhone 7 leaks already, including some clear shots that seemingly show the back of the phone, but now we've gone from static images to videos. Sadly, we've also gone from clear back to blurry, as the six seconds of leaked footage, originally posted to Weibo and uploaded to YouTube by TechTastic, is far from high quality, but it's still possible to make out many of the details of the phone. The details are similar to what we've seen before, with a larger camera lens than is found on the iPhone 6S, along with antenna bands that have been moved to the top and bottom edges and no 3.5mm headphone port. Otherwise the overall design looks similar to the iPhone 6S, with a slim metal shell and a mute switch, the latter of which is absent from some iPhone 7 Plus leaks. The fact that it's on video means there's less likely to be any Photoshop trickery going on, but we'd still be wary of it. The footage is low quality and the front of the phone isn't shown, so the handsets in the footage could well be fakes. But real or fake they line up with most other leaks and rumors that we've seen so far, pointing to an iPhone 7 that might just be a small change from the iPhone 6S. In fact, a leaked benchmark suggests it might not even be much more powerful than last year's model.